Blogger by default doesn't support page navigation, actually it does support navigation but not in numbered format, only as Previous and Next Page. 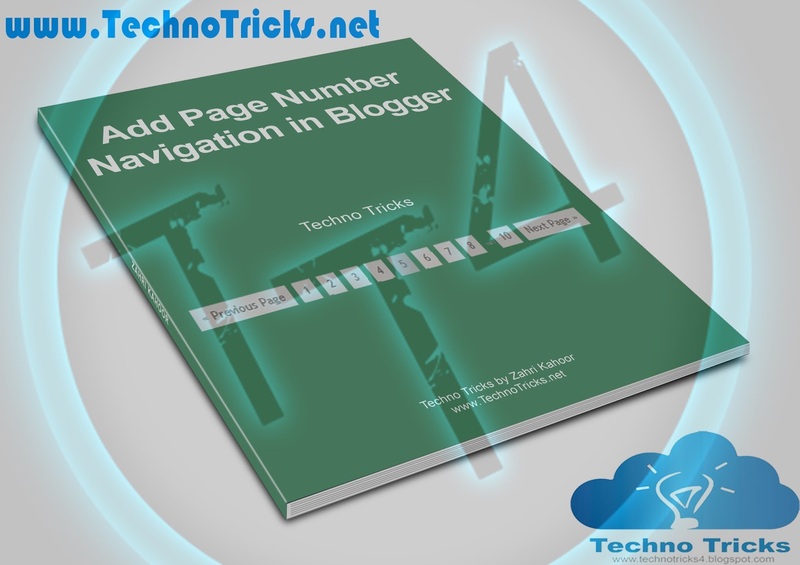 The numbered navigation format, not only looks good but it also lets you jump from a page to another, in a bigger pace, so the viewers can be more flexible while surfing your blog. Friends suppose you have 100 of page in your blog and you have not page number navigation button in your blog you have only older post button newer post button how to visitor know how many page you have in your blog and second think is this suppose somebody want to go on page number 40 so by using page number navigation they easy can jump on page number 40 so this widget make easy to access your site or blog. Not necessarily, but before installing you might want to set the number of posts (articles) that will show in one page. I would say don't put a big number nor a very small number but somewhere between 5-15 will be good, even though 15 is too much for my taste. It all depends on the kind of taste you have, or how do you like things to look. To add the page numbers we will need to crawl into the HTML code. And when you hear HTML code and you happen to not know anything about it, don't be scared from those 2 words. HTML is pretty simple, just when you understand it's roots. So to do this you won't need any previous coding or any experience, because you don't have to understand the code, you will just need to copy and paste the code I will put here. Anyway maybe it won’t look as you like it to, but to change the looks you will need to have some CSS knowledge and there won’t be anything you can't do. So enough with the talk, and let's get to the real deal. As I mentioned we will need to change something in the code of the template, actually add some things in case of this to work. Important: You will need to put the same number you put on the Post and comments page, how much articles you want to be shown on the main page. Change the 5 with your desired number. And one more step to make it work. Search for 'data:label.url' and replace it with 'data:label.url + "?&max-results=5"'where 5 again is the number of your posts on your main page. The Last step is to add the CSS so the page navigation will look better with some borders. If you happen to know a little CSS than you can change its colors, width, height, etc. In the end you will get this page number navigation widget. It looks simple and will fit with every kind of blogger template.